Chhori is going to Nepal for the very first time this weekend. We have planned this trip to celebrate her 2nd birthday in Nepal so we will be traveling to Nepal with my parents. We will be stopping over in Malaysia for a few days and then a big Nepal trip. I am so excited and scared at the same time. Excited because Chhori will get to meet many of her relatives for the first time including her great grandmas, cousins that she sees often in Skype and many other uncles and aunties. I am sure she won’t remember much from this trip when she gets older but I will make sure that she has lots of photos to look back on. Also on 20 February, we will be celebrating her 2nd birthday. We plan to do a traditional ceremony with yomari and sagun as well as a small family celebration with party. I am hoping that it will be a great way for Chhori to start understanding our culture and tradition. 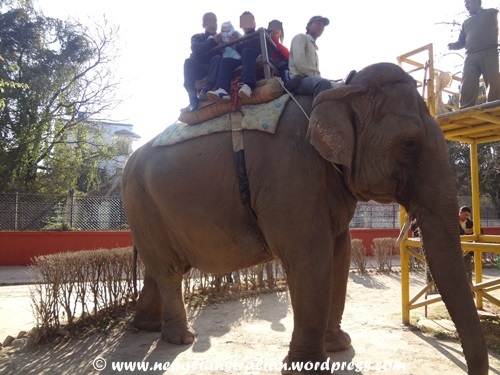 I also have plans to take her to the zoo in Nepal and also do other kids’ activities. I am sure we will also be busy with meeting many relatives and friends. But this mum is very worried at the same time. In the past, traveling to Nepal was not such a big deal but this time going with a toddler could be difficult. We have done our best preparations. Both AS and I have got vaccinated according to the recommendation of our GP. Also Chhori got one injection as well. She was as calm as a millpond and didn’t cry this time either. I have bought enough food/snacks for our plane journey as well have as some cartoon and peepa pig series for entertainment. I am not worried about our plane journey much but a bit more worried about our stay. 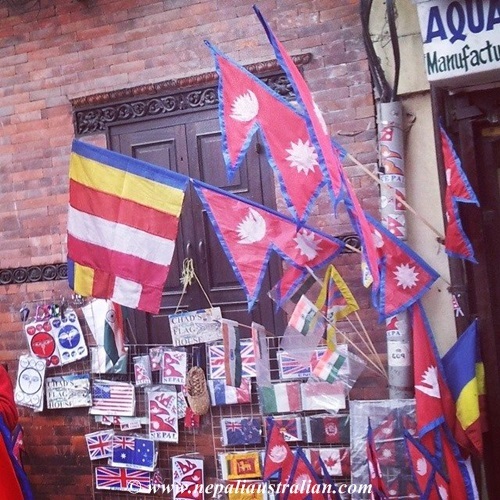 Malaysia should be fine as we are there for few days only but I am worried about Nepal. I am worried if she will get sick or hurt or anything like that. AS’s home in Kathmandu where we will be spending most of our time is not baby proofed like our home here so it gives me nightmares thinking what may go wrong. We have talked about how someone will always be watching Chhori to avoid any disaster but as you know with kids they are so unpredictable. I and AS have had numerous talks about it and he always tells me to stop thinking too much and let’s take each day as it comes but being a thinker I am not as clam as he is. I know he is right as we don’t know what can happen there but I can’t stop worrying. Please share tips and tricks to avoid any unwanted events happening when you are traveling with a toddler. Chhori is so active these days hence the worried mum. 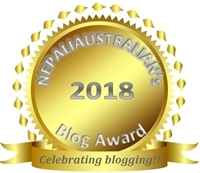 This entry was posted in Being Mum, Our daughter and tagged australian, australian nepali, going home, grandparents, kathm, M from nepaliaustralian, mum, Nepal, Nepalese, Nepali, nepali australian, Nepali blog, Nepaliaustralian, toddler travel, worried mum. Bookmark the permalink. The main key is water – make sure they are not contaminated. Always boil, filter and give, and any raw food that is not properly washed is something you should watch out. You guys amaze me with your travelling with your child. Enjoy your vacation! Children need little serious talks even as a toddler she can tell to be careful. Teach to look at you before touching or opening. 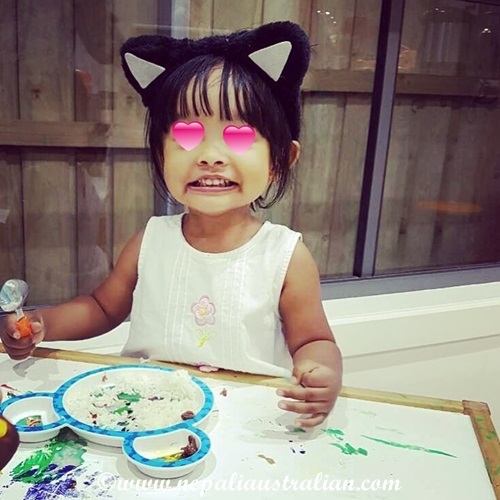 This will help if you also include as you mentioned Peppa Pig and other things to “sidetrack her.” The places you go will have you and AS so two pairs of eyes better than one set. 🙂 ❤ I love little Chhori and her sleeping picture. That you for your nice words. I was hoping Chhori got to met you this time but there is always next time. I was thinking the same why I am so worried about this trip but I think being a mum, you never stop worrying. Take care and we will meet again one day soon. Hi, just got here to vote for Koolkitchen and saw this post that you are going to Nepal.The first time I took my daughter 20 years ago she got seriously sick after coming here. But this is not to scare you, just giving heads up to avoid eating any raw vegetable, especially salad leaves and drink boiled water. Enjoy the trip with your daughter! Thank you. We have vaccinate her against few stuffs so we are hoping she won’t get sick. Just need to watch she eats and fingers-cross everything will be cool :). Definitely goona avoid raw food and tap water. Thanks again. Have a wonderful trip and take lots of pictures!